Next, if you're really into reading all about the whats, wheres, whys, etc...check out our friends at WeatherAdvance.com. Don't get too lost in the NAO, AO, and PNA terminology. Their 2nd edition winter outlook sure has an interesting scenario for middle Tennessee with colder than normal temperatures and wetter than normal precipitation. This set-up could be quite interesting for us. Next up, our friends over at Tennessee Weather or TennesseeWx.com discuss weather 24/7. You'll really enjoy looking at their weather threads and learning from some great professionals who frequent the site. Start with the Winter 2011-2012 post (which began way back on July 7, 2011) and work your way through it. I cheat and start from the last page and work backward. Finally, I'll throw my 2 cents in...over the last couple years we've trended cooler than normal and that trend will continue through all of this winter. While we will have periods of warmer than normal temperatures, I believe we will mostly stay near to below normal during the period. I cannot, however, predict the same type of snow accumulations from last winter when the totals were quite impressive. Let's go with 11" for the winter with 3" total for December, 6" in January, and 2" in February. Winter will soon be upon us and many of you are wondering just what sort of winter we'll have across middle Tennessee. Depending on which part of Putnam County you live in the average is 8"-12" of snow annually. This post will be updated as more information is released from credible sources! Each year I post the 'Winter Outlook' and the last two have been my most popular posts on this weather blog. Obviously, I encourage and welcome your comments. 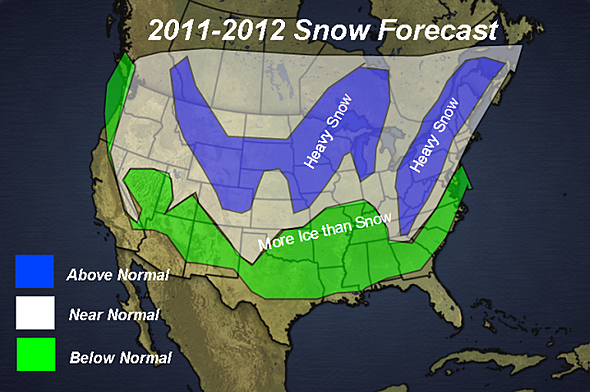 Let me know what you think about the upcoming winter of 2011-2012. 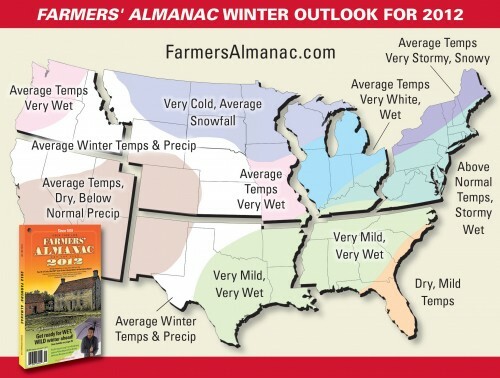 Our first map is from the 'Farmers Almanac' and shows Tennessee to be 'very mild/very wet'. To me, this would indicate a rainy winter with little snow accumulation. The challenge for the Farmers Almanac post and map is they lump in all of Tennessee with the deep south and that is a flawed assumption. As many of you know, weather from Cookeville eastward is completely different than Nashville westward due (mainly) to elevation and the Appalachian mountain chain. We receive 'backside' moisture from low pressure systems that have pushed eastward while much of west Tennessee doesn't. Map #2 is a rough estimation from the folks with Accu-Weather. It shows a 'near normal' winter or snow forecast for the Cookeville area. They take the Appalachian mountain chain into consideration with their map. Finally, I decided to include a YouTube.com video from Cirrus Weather. Don't blame me for the music! And then there is this one that is 'interesting'...love the guy's hairstyle! His name is Piers Corbyn and he is one interesting fellow. His website is called Weather Action. 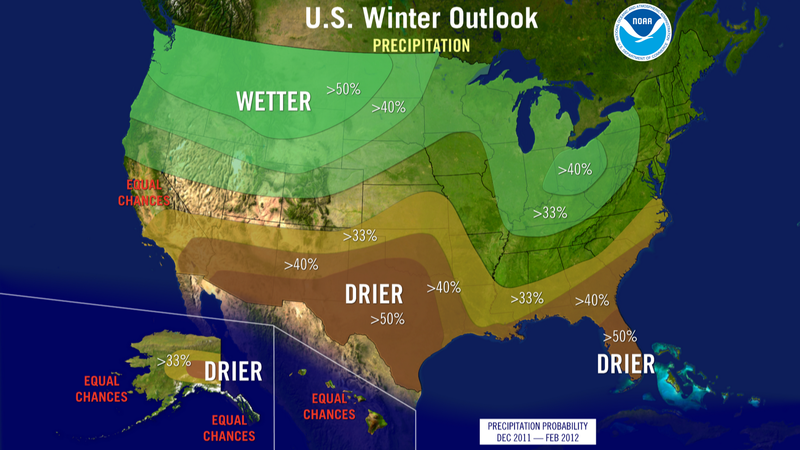 Don't expect to see a winter outlook from NOAA until about mid-late October. I will update this post as other outlooks are made available. As of now, I don't think we're ready to release a definitive prediction about winter in Cookeville, TN. Last link is the best planting dates for seeds. I included this since we discussed the winter of 2011-2012 and know some of you wanted to look ahead! Oh, PLEASE! They are predicting a very snowy Northeast/Mid-Atlanic region for this year! Will Nashville get some decent snows this year? Will Nashville get some decent snows this winter?